I am very happy to state that My Scrawls has crossed more than 50 posts! I started this blog on Jan 1st 2009, soon after we came from our vacation that we spent in the Caribbean (Paradise Island, Bahamas). I was so much thrilled about our Bahamas SUB adventure, that I started this blog and posted our experience in the Atlantic under waters. The encouragement and appreciation from relatives and friends made me to write more. Thanks a lot dear readers for spending time with My Scrawls. I assure to give informative and useful posts! Today am here with yet another travelogue. We had been to Door county and Green Bay this memorial day weekend. It was a short trip and hence we couldn’t explore much. I would like to share few info about the place, climate, sightseeing, outdoor fun,lodging, dining etc. Veggie food is available here. We had hot potato pancakes and waffles for the breakfast and they were great. Veggie pizzas and sandwiches are also available. We couldn’t find any Indian restaurant in the Door County. The nearest Indian restaurant is in Green Bay! 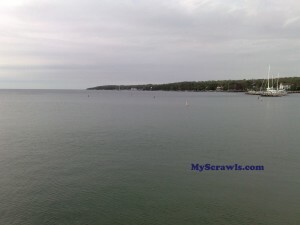 Its good to visit Door County from spring to fall to enjoy water activities and the warm pleasant climate. But there are lots of winter fun happening here too. Door County winter wonderland is one of the popular mid west winter weekend gateways. Traveling with kids? Take them to Hands On Art studio in Fish Creek. Here the kids can unleash their creativity in painting and decorate cups, plates and other pottery. Door county Historical Museum and Door County Maritime Museums are sure to keep kids busy and amused. There are 2 wonderful animal farms. “The Farm” at Sturgeon bay and the “Plum Loco Animal Farm” in Egg harbor, allows us to feed farm animals, play with them and pet them Children would find this more interesting and entertaining too! Wanna take a pony ride? 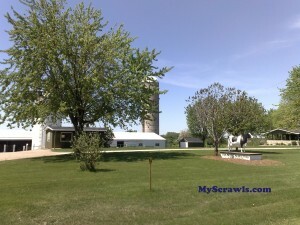 Visit “Kurtz Corral Ridding Stables”. There is a drive-in theater too!! You could find “Skyway Drive-in” theater between Fish Creek and Ephraim. People here are very very friendly. You cannot pass a person who doesn’t stop to smile at you and greet with a “hello” This warm gesture of the locals here enlightens our holiday spirit! 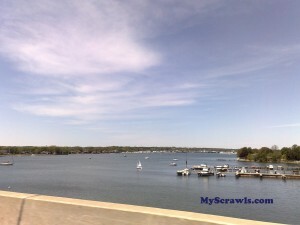 Route to Door County from Chicago: We took I-94 and headed towards Milwaukee. Then took I-43 to reach Green Bay. From Green Bay there are 2 routes to reach the tip of Door Peninsula. We can take either I-57 or I-42. We took I-42 while going towards Door county and took I-57 while coming back… just wanted to explore either bays Traveling by air? The nearest airport is at Green bay! COngrats on the milestone! pretty pics.. Many congratulations!!! Your article on greenbay is very nice…keep it up!